Half-ram, Half-manatee, all adorableness! 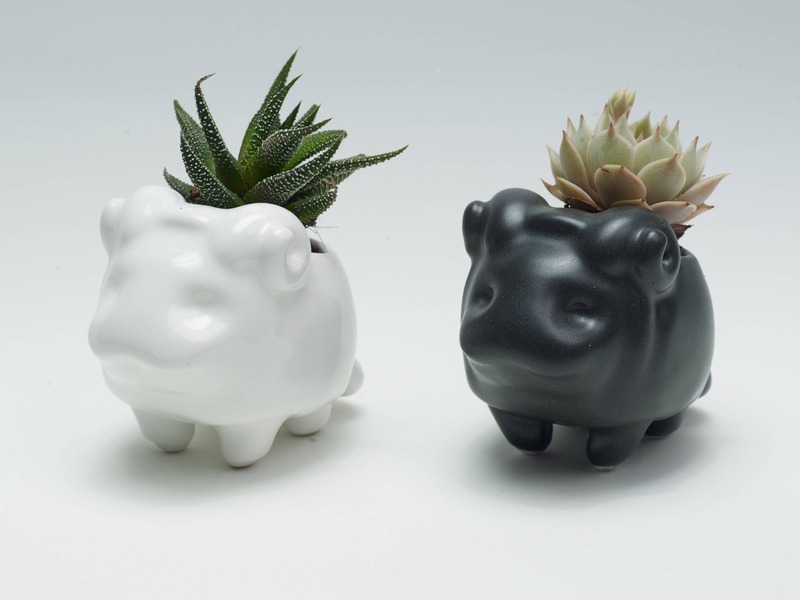 We have a limited run of ceramic Ramatees available! The planters do NOT come with a plant. We unfortunately are having troubles with getting plants, so we are just selling the pots for now. Each one is wrapped with plenty of bubble wrap in a super sturdy box. Also included is a pipette to help you water your plants. Size: 4" x 2.5" x 3"
We ship out every Saturday. International buyers might get a customs fee - the buyer is responsible for this fee. Thank you! If something isn't right, let us know and we'll make it right!